8.30AM - 11pm and unattended overnight. Zeiss LSM880 confocal scanhead on an Examiner microscope with water dipping objectives. Equipped with Spectra-Physics multiphoton laser. The examiner fixed stage microscope allows sample manipulation on the scope under low magnification, then the retractable objective turret can be switched to high mag without any disturbance to the sample. Laser lines at 405, 458, 488, 514, 561, 594 and 633 nm. Multiphoton laser is Spectra-Physics Mai Tai eHP Deepsee. Solent incubation chamber and environment control for temperatrure and atmospheric control. 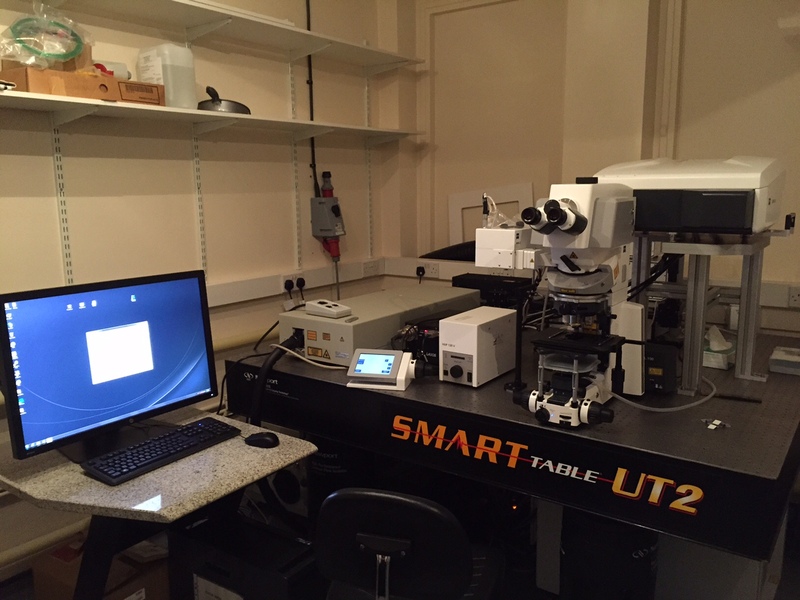 Prior motorized stage and custom Zeiss software for long term multipoint live cell imaging.